This is the third pool piece I have done. The other two did really well so I decided to paint another. This one is a fun play on words; “Pool Shark” is slang for the awesome pool player who takes everyone’s money. I painted actual blue shark and an olive getting his money taken away from him! 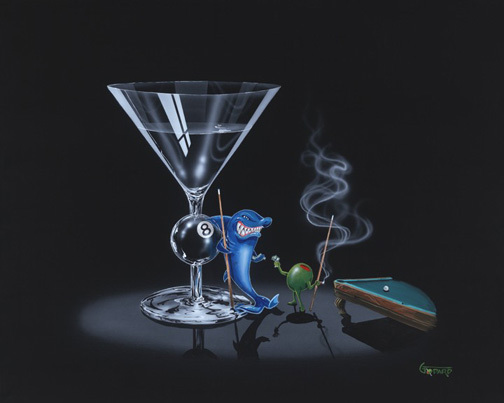 Also I painted the 8 ball in the center of the Martini Glass.